Gordini is a historic French sports car manufacturer; the firm was founded by Amedee Gordini, which is where the manufacturer name derives from. Gordini worked French car manufacturer Renault as an engine tuner, Gordini sold his firm to Renault and Renault then competed in the 24 hour Le Mans race as Renault-Gordini for seven years. 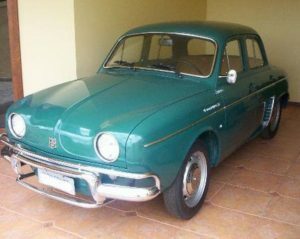 In 2009 Renault announced that it would be reintroduced the Gordini brand within its model range, a bit like what Fiat has done with the Abarth brand. The first models to be produced were the Renault Twingo and Renault Clio, now the Renault Wind Roadster is to receive the Gordini touch too. Gordini is more than just a sports car brand, it has a community of its own. In the 1960s Gordini drivers would flash their lights at one another in recognition of the car they were driving. The Gordini spirit lives on today, there are many specialist Gordini forums on the internet as well as a Facebook fan page. Renault wants to reignite this community feel, therefore the Facebook fan page members were the first to get a glimpse of the new Wind Roadster in Gordini trim. The Wind Roadster Gordini features 17-inch black diamond alloy wheels, Malta blue bodywork with trademark twin white stripes across it. It has Glacier white door mirrors, grille trim and rear wing, and a glossy black roof. A badge marked with a “G” completes the Gordini look. In the inside the Wind Roadster Gordini features special “Gordini” black and blue leather upholstery, blue and white door straps and a blue leather steering wheel with the signature white stripes on the centre band. A leather gear lever gaiter and polished metal gear knob bearing the Gordini name complete the look. The new Gordini will be available from March at all Renault car sales in Northern Ireland and the rest of the UK. A leather gear lever gaiter and polished metal gear knob bearing the Gordini name complete the look. 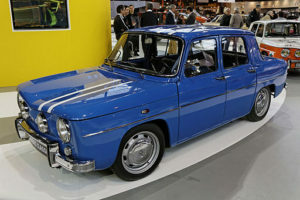 The new Gordini will be available from March at all Renault car sales in Northern Ireland and the rest of the UK.